Royal women all around the world wear tiaras, from the late Princess Diana to the royals in far flung countries such as Iran! 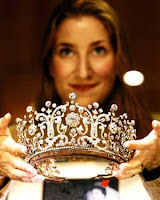 The word tiara is adopted from the Persian word Tara, and is taken to mean a high crown. Throughout history, the royals and the nobles used to wear tiaras as a signal to their high status. Today however, the tiara is worn, in addition to royals and nobles, by those in high social circles. The tiara worn today is semi-circular band and decorated with jewels, such as swarovski crystals. Some brides think that donning the tiara is an over the top look for their wedding. But your wedding is the one day you get to be the Queen, so why not consider a tiara for your wedding look? It is a timeless elegant look you can be sure will win you admiration on your wedding day. 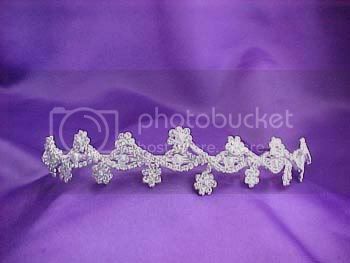 Check out these beautiful wedding tiara designs!